Jesus knows and He cares about your issues! You are not alone. Understand that God and God alone is the Source to solve all of your issues. Whatever you are facing God can handle it. Put all of your faith in Christ. Trust Him to be The Almighty God. Jesus can dissolve years of anger and bitterness. He can break dangerous habits and mindsets. God is a Comforter, Friend, and Healer. 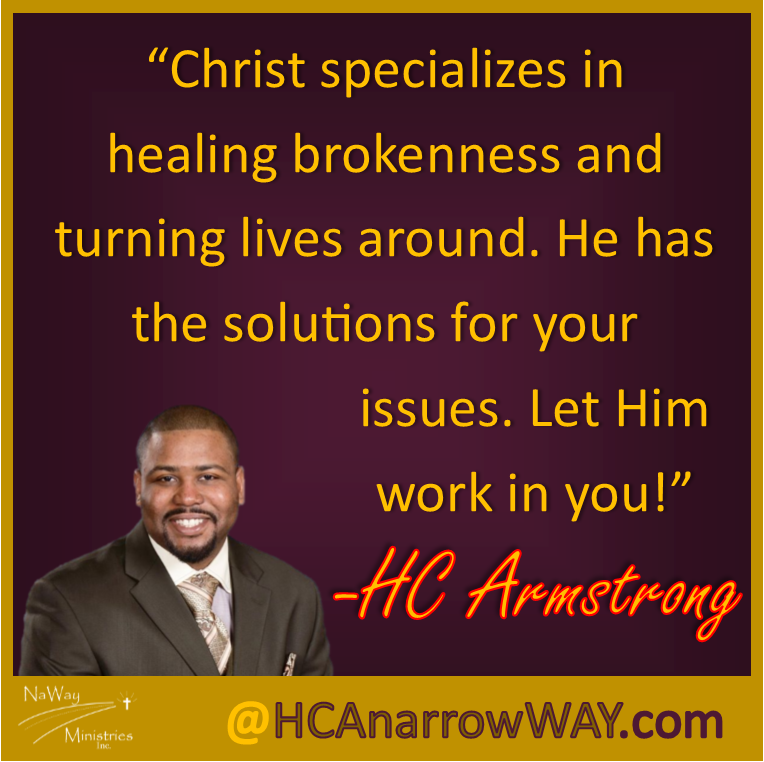 Christ specializes in healing brokenness and turning lives around. He has the solutions for your issues. Let Him work in you!